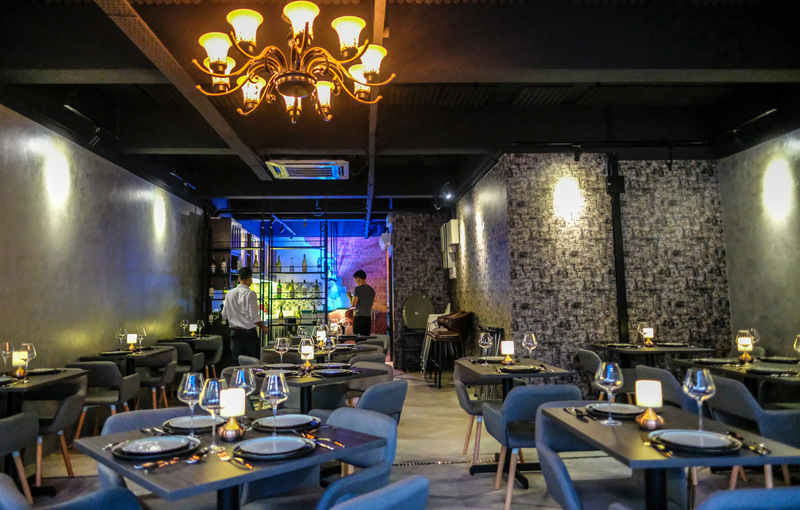 Kara - Latin for 'beloved' - heralds the return to a restaurant for chef Bertrand Langlet, who founded Persiaran Ampang's Ma Maison, one of KL's earliest French eateries, in the 1990s. Chef Bertrand has teamed up with a set of Malaysian collaborators, including a young music producer, to spearhead a selection of Gallic greatest hits that'll ring familiar to his longtime fans. Lovers of liver will likely choose the pan-fried duck liver on russet potatoes with green grapes for a warm starter (RM56) or the chicken liver pate with sliced baguettes and assorted greens for a chilled appetiser (RM24). Both illustrate chef Bertrand's style of inserting his twist on these staples, surrounding them with a bounty of fruits and vegetables for a buoyant, balanced platter. Kara's repertoire is reasonably extensive, promising plenty of combinations for a confidently French meal - perhaps the snails in garlic herb butter, sandwiched in choux pastry for a distinctive take on escargots a la bourguignonne (RM32), followed by a mighty, meaty main of lamb rack encrusted in Provencal herbs with ratatouille (RM60), with classic standards like Stardust and Desafinado wafting from the speakers.